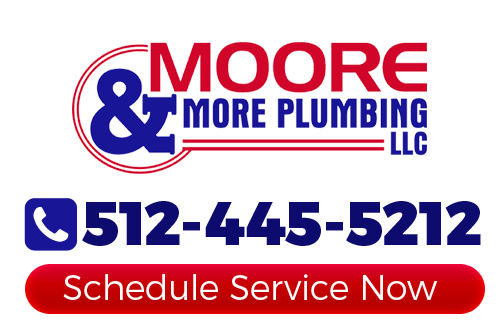 For the finest in Briarcliff residential or commercial plumber service needs, the name you can count on is Moore & More Plumbing. With over three decades of a solid track record and impeccable reputation, our Austin Plumbers are the obvious choice for most locals. You cannot last this long in the industry and earn the rate of repeat and referral work we do without doing something right. We believe in going above and beyond for each customer we work with. This is how we are able to not just meet your expectations, but exceed them. While we certainly do not want any of our clients to experience repair needs, it feels good knowing we can be there to address those needs, promptly and professionally. Don't settle for inferior workmanship or putting off getting service work that you know you need taken care of. All this will do is lead to worse plumbing problems developing. Let us demonstrate to you, in person, how we earned the flawless reputation that we have. Video Pipe Inspection – The best way to know what is going on with your plumbing and pipes is to gain visual access. For many jobs, this would not be possible except for the use of video inspections. Drain Cleaning Services – When you have slow or clogged pipes, you may feel tempted to purchase products that claim to clear those clogs for you. Yet what those products fail to mention is their ability to also severely damage your plumbing. Let an industry expert handle the job for you. The end result should always be that your plumbing service needs are addressed and everything is in proper working order. Yet there is certainly nothing wrong with also getting superior customer care along the way too! At Moore & More Plumbing, we strive to make sure that you are 100% satisfied with both aspects of the job. We take this line of work seriously, which is evident from the customer satisfaction rating we have. Get in touch with us today and let us provide you with long term, quality solutions as opposed to short term, quick patchwork fixes. If you are looking for a professional Briarcliff plumber then please call 512-445-5212 or complete our online request form.